El Otro Lado in the Schools brings classrooms alive through story-based, arts-rich experiential learning in Santa Fe Public Schools. 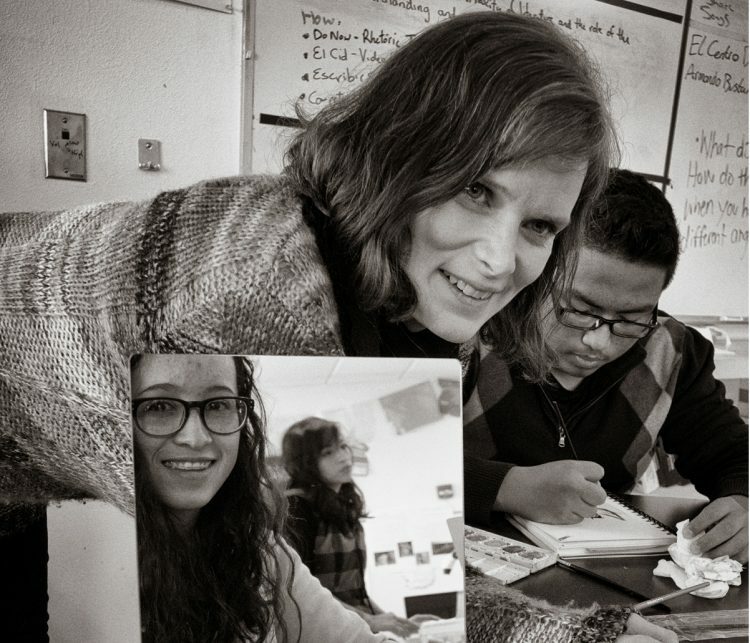 Since 2009, El Otro Lado has brought teachers, artists, and students together to access and share their stories. Each week, participants use journaling, recorded oral narratives, photography, visual arts, music, and movement to learn together. This learning expands within the classroom as teachers adapt these methods to other areas of teaching, and extends beyond the classroom as participants present their stories and art in a community culmination and celebration at the end of the school year. El Otro Lado is changing the cultures of our classrooms and nurturing connection, empathy, and respect. Through sharing their stories, teachers and students learn to see each other in new ways. Sign up for the EOL Quarterly Newsletter for updates on the program, upcoming events, and learning field tips. Connection to place – where we are from and how we experience belonging – is at the heart of El Otro Lado. What is a memory of a scent from you home as a child? What does that smell remind you of? Describe a place you visited often when you were growing up. What do you remember about it? Can you tell a story about either of your grandparents? Can you describe your mother or father? Are you interested in bringing El Otro Lado to your school, organization, or community? Fill out our application form to learn more. To learn more about El Otro Lado in the Schools use the form below to contact The Academy. "The sixth graders this year are a group of young people who have experienced a lot of trauma: parental deaths and illnesses, deportation of family members, and current or past homelessness. Our work with El Otro Lado has been a healing medicine that has shown these students that they can achieve, realize and become their dreams." "We all have a story worth telling, worth listening to, worth remembering. If we are willing, that story will take us to the other side, where we will find ourselves whole again."